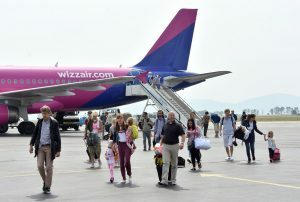 The latest news from around Croatia’s airports for new flights to Croatia with updates from Osijek, Rijeka, Pula, Dubrovnik, and Split. Also, there will be six new lines from France to Croatia this year. Wizz Air will operate this route using the Airbus A320. Last year’s charter line from Sweden to Rijeka on the Slovenian airline Adria Airways was taken over by Czech airline Smartwings. Thus, Smartwings will increase the capacity on this charter line, and instead of using the smaller Airbus A310, they will use the larger, Boeing 737-800 between Sweden and Rijeka. On the other side, here will be six new lines from France to Croatia this year, reports HRTurizam. Namely, Volotea airline will open routes from Lyon to Dubrovnik and Split, from Marseille to Rijeka and Bordeaux to Pula. Air France announced a new direct line to Split from Paris, and Easy Jet opened a direct line from Nantes to Dubrovnik.